I’ve heard from several people who’ve read Closer to the Ground, wanting to know if my beloved, now-22-year-old Montero is still alive and well. So this is proof: Still running, still hauling the boat, firewood, kids and mountains of kid gear. A little battered and worn, rough running on cold mornings, beyond dirty and growing moss around the window sills, but still, by far, the best car I’ve ever owned. I hope to keep it going strong for as long as possible. Sure, I wish it got better mileage, but I rationalize that as a non-commuter, I use it less than someone else would if I sold it. At 22 years and with several hundred thousand miles on the odometer (not to mention the moss garden), there’s really no monetary value left in it anyway. But to me, the value is in the use, and I suppose, a bit of sentimental attachment as well. So, if you asked, there’s the answer. 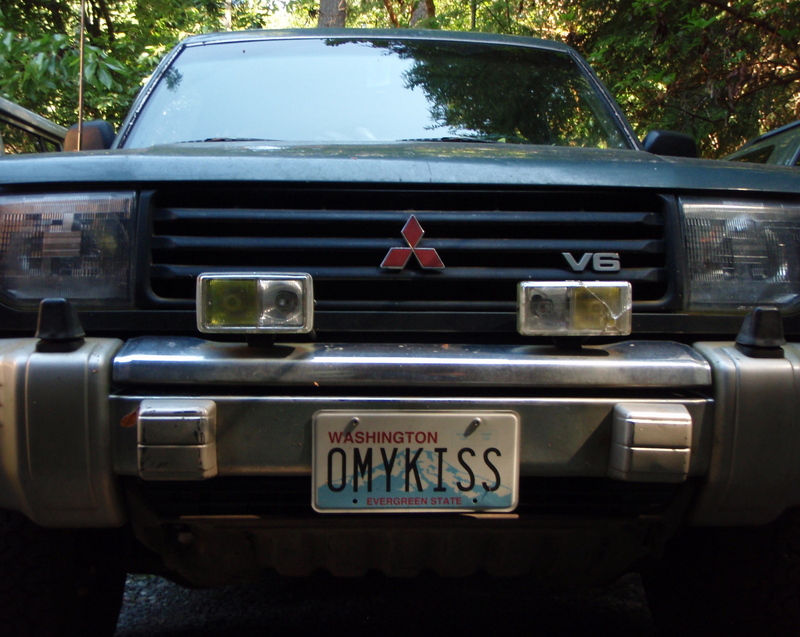 And even if you didn’t, special bonus points for anyone who can guess what the license plate means.